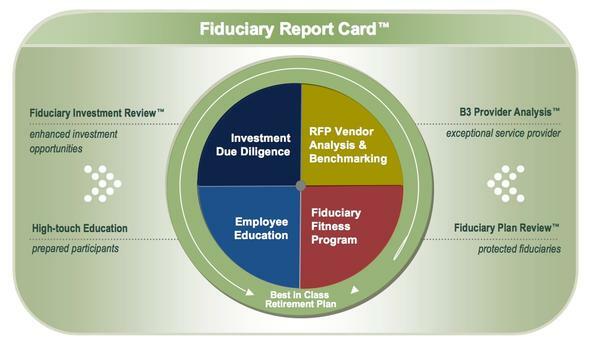 Fiduciary Compliance : 401(k) & 403(b) Fiduciary Advisors, Inc. Surprisingly, many companies do not know their fiduciary responsibilities under the law. To gain perspective, they reach out to 401(k) & 403(b) Fiduciary Advisors for specific direction on how to guard against troublesome and costly liabilities. ERISA (The Employee Retirement Income Security Act of 1974) was mandated in order to protect the retirement assets of Americans. ERISA §404(a) addresses fiduciary duties and §404(c) addresses protections for plan participant investment decisions. By implementing rules that qualified plans must follow, the regulations attempt to ensure that fiduciaries do not misuse plan assets. However, due to the number of regulations and the complexities of many of them, there is often confusion among the plan sponsors and a general lack of awareness of the liabilities that exist. In fact, depending on the infraction, fiduciaries can be held personally liable and sued for personal assets. Many retirement plan fiduciaries are more concerned than ever about their personal liability due to a number of factors in today's marketplace. Issues like the volatility in the stock and bond market, pension law reform, corporate and mutual fund misconduct, retirement plan recordkeepers and administrators exiting the business, mutual fund consolidations, an increase in ERISA civil suits and a greater scrutiny of retirement plans by the Department of Labor (DOL) all come to mind. Combine these issues with a looming crisis of inadequate retirement savings by plan participants, and the potential threat to fiduciaries is considerable. 401(k) & 403(b) Fiduciary Advisors' fiduciary compliance resources and consulting expertise helps to protect plan fiduciaries and executives from financial loss due to Department of Labor (DOL) and IRS penalties, as well as ERISA and employee civil litigation.